When you are buying a home or a car or applying for a credit card lenders use Credit Score to find the risk of the borrower. A credit score is one of the most important components of a consumer’s financial profile, so it’s always good to check your credit score. Got Discover Credit Card ? If you have Discover credit card you get to see FICO Credit Score for free. Discover credit card provides your FICO Credit Score for free. According to Discover Credit Score provided by them will not impact your credit score. How my Credit Score is derived ? What is a good credit score? It totally depends on the type of the loan you’re trying to get. 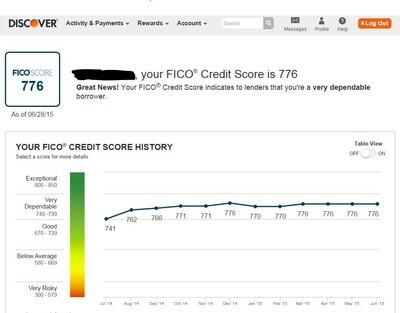 Here’s the FICO Credit Score Range from Discover website. Next post: What is the PayPal fee for Website and Mobile payments? Previous post: Why I choose Betterment over Wealthfront?